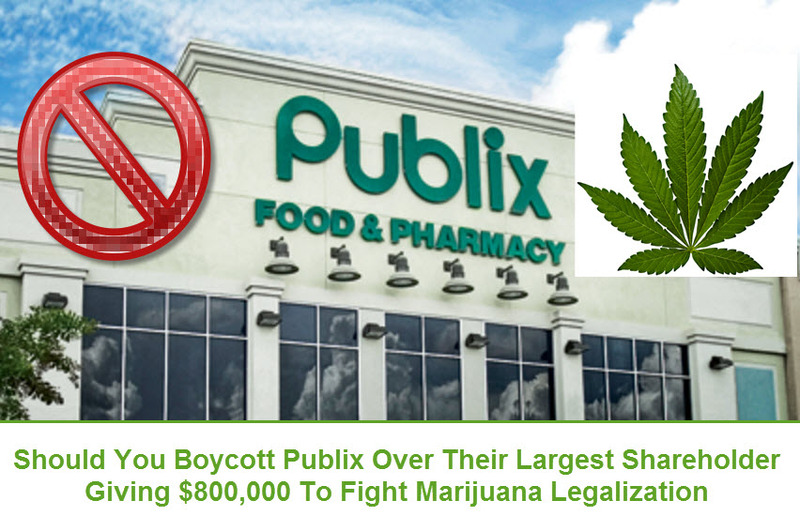 Should You Boycott Publix Because The Founder’s Daughter Gave $800,000 To Fight Marijuana Legalization? As the political tides turn in the efforts to legal marijuana, an interesting question has been brought up in the state of Florida and it entails most people’s favorite super market. Publix, a very popular supermarket in the South, and based in Lakeland, Florida is beloved for their homemade sandwiches and overall shopping experience. Carol Jenkins Barnett, the daughter of the Public founder, George Jenkins, has donated over $800,000 to anti legalization movement in Florida. The article appeared in the Miami New Times and has gained national traction. A petition was then started on Change.org for her to stop using the proceeds she receives from her supermarket chain to fund her political beliefs. The petition, which you can view by clicking here, currently has over 48,000 signatures. In November, Florida voters will vote on Amendment 2, which would legalize medical marijuana statewide.